The newly renovated cook's kitchen features all stainless appliances, granite counters, furniture quality cabinetry, tile floors and rich dark wood dining table and chairs. As part of the great room area, its proximity to the living room area provides the opportunity to interact while cooking as well as view the LCD TV while cooking or dining. This area also connects to the ocean-view balcony with wonderful views across the courtyard and pool areas out to the ocean! The living room here at the Hilton Head Beach Villa #16 has large comfortable sectional sofa, large flat screen television, and access to the pool/courtyard view balcony through sliding glass doors. The lower level Den is a separate entertainment area ideal for watching TV, playing Video games especially for the children. The sliding doors lead to the patio with Barbeque grill and access to the pool/courtyard. This exquisitely furnished, primary master bedroom on the upper level features a king bed, LCD TV, cozy reading chair, and private bath with walk-in shower and separate tub making this an ideal retreat. This Master Bathroom is a statement of luxury and quality. Featuring granite counters, soaking tub with tile surround, tile floors and an all glass shower, this retreat will be a delight for guests of the Hilton Head Beach Villa #16. This finely furnished second master bedroom on the upper level features a king bed, LCD TV and private bath with a walk-in shower. 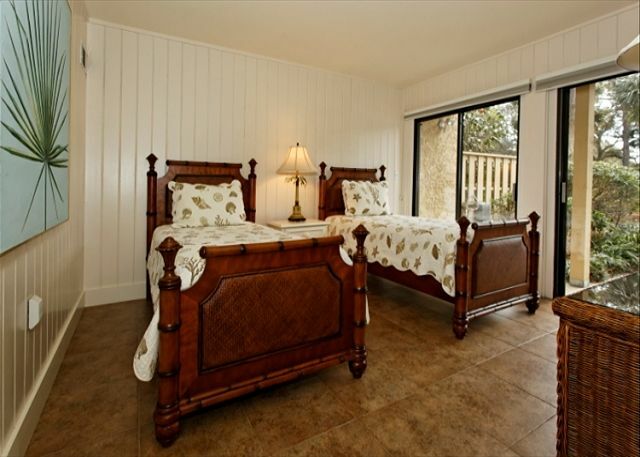 The lower level guest bedroom features twin beds with tile floors and is great for kids or adults. The sliding glass doors (with safety lock) lead directly out to the private patio and grill area as well as the lushly landscaped pool and courtyard areas. This bedroom adjoins the private family room area which is ideal for watching tv, listening to your music on the ipod docking station, playing games or reading without disturbance to or from guests in the mid-level great room. 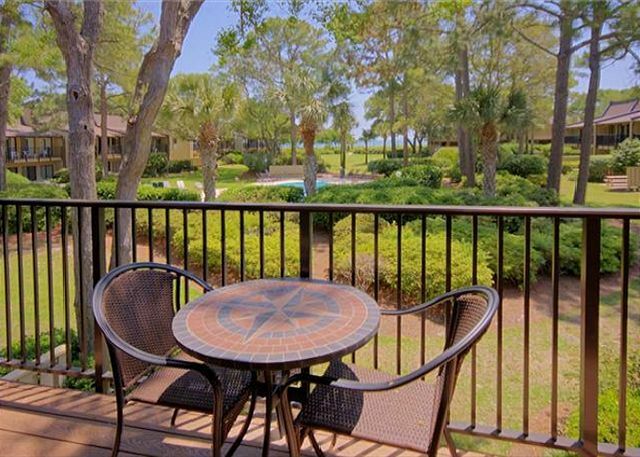 The Oceanview balcony from this Deluxe Hilton Head Beach Villa #16 has views across the courtyard to the pool and the Atlantic Ocean beyond; a most enjoyable spot for morning coffee and your newspaper or a light lunch. 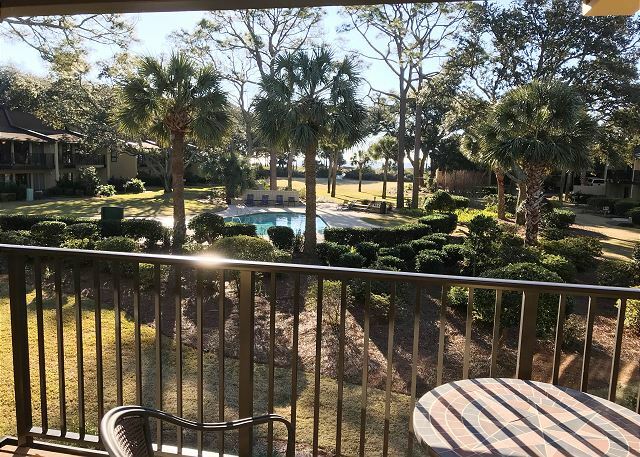 The balcony at the Hilton Head Beach Villa Oceanfront Complex has a beautiful view of the pool, grounds and courtyard with a glimpse of the Atlantic Ocean in the background. 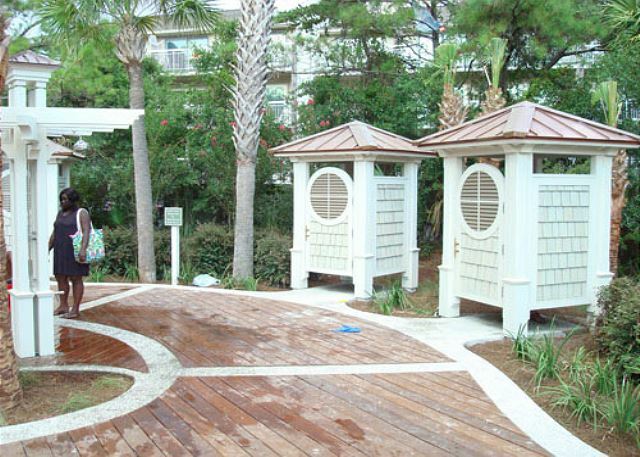 Find relaxation and peace at the pool and landscaped courtyard in the Hilton Head Beach vVilla complex. Afternoons in the dappled sunshine will be pleasant for you and your family and friends. This view is of the lawn on the oceanside of the property looking from the beach and dune back to the condos. 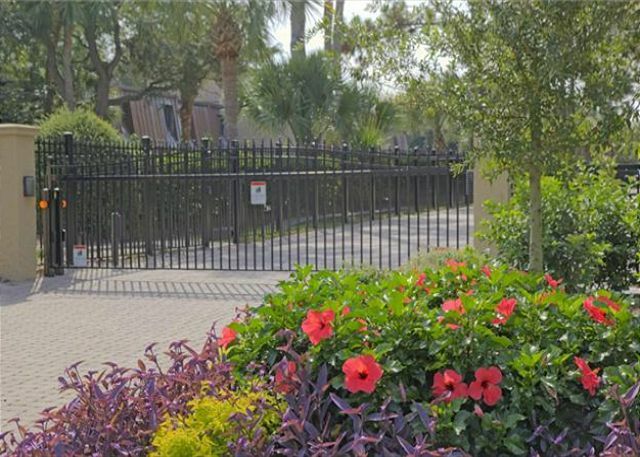 The gated entry to the Hilton Head Beach Villa complex provides security and privacy that is sure to please each visitor. Lush landscaping gives a sense of beauty color and tranquility to the property. This ocean view villa is designed on three levels with wall-to-wall and floor-to-ceiling glass door units on the main (kitchen/dining/living) level and the lower level to maximize the ocean and pool views. Flooring on all levels is ceramic tile. The two master bedrooms have carpet. 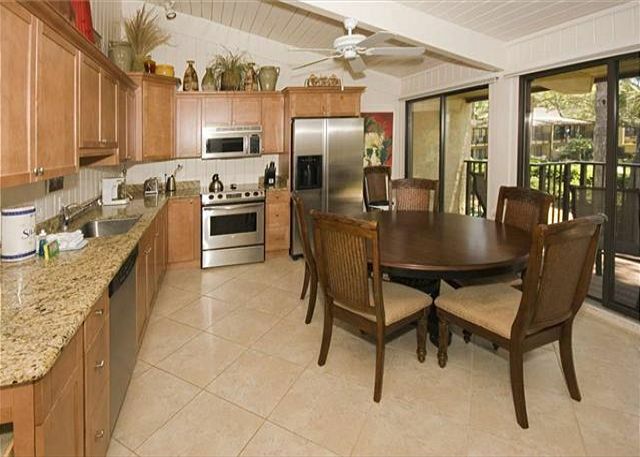 this unit is completely updated and designer furnished to provide an upscale and luxurious experience. The main living level provides a well-equipped kitchen with rich wood cabinets, granite countertops, all stainless steel appliances (including dishwasher and microwave) and ample table seating for six. The comfortable furniture in the adjoining living area provides the perfect spot to gather and to watch your favorite shows or movies on the 32-inch LCD TV. Take your morning coffee to the balcony off the living/dining area. It is a great place to soak up the sights and sounds of the ocean. Two master bedrooms are located on the upper level and each features a king-size bed, LCD TV and private bath with shower – one bath also has a seperate tub. 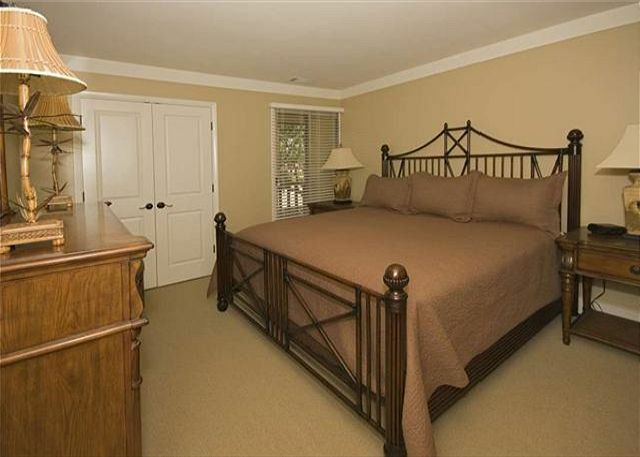 The third bedroom with two twin beds is located on the lower level off the family room. A bath on the entry level serves this bedroom. The three full baths have been totally remodeled with new plumbing, fixtures, lighting, cabinetry and ceramic tile floors and showers. Laundry room with washer/dryer is located on entry level.The family room is a second gathering spot for TV-watching or game playing. With DVD players and Ipod docking station, there should be something for everyone. A queen sofa sleeper and overstuffed chairs also make this a cozy spot to curl up with a good book. Sliding glass doors lead to your own private patio with chairs, table and grill as well as park-like grounds featuring two pools (adult and kiddy) with a large sun deck and chaise lounges. 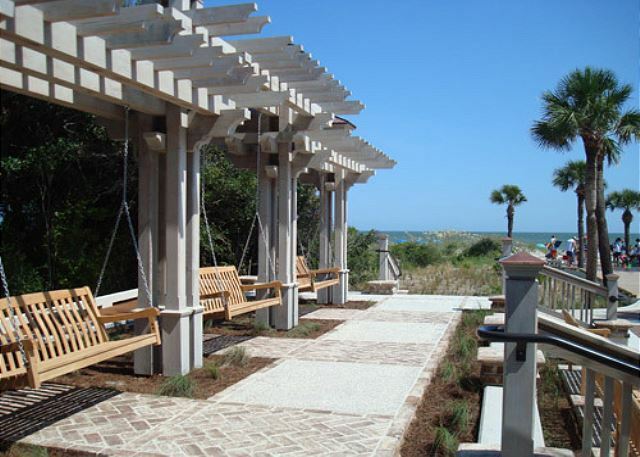 Just beyond the garden area is private access to the famous Hilton Head Island sandy beaches. The view was beautiful. The AC grills with filthy with dust. The windows were dirty, one in the blinds was broken.the ice maker was not working. The carpet was dirty, didn’t have the vacuum cleaner, There was only a broom to sweep the floor. There was plenty of pots and pans, silverware and glasses. The rooms were clean. Love all the Vacation Time rentals! We have been vacationing through Vacation Time for about 15 years. We’re always extremely satisfied with their customer service and the quality and location of the rentals in their inventory. Loved it this year and can’t wait to come back next year! The beach villa was very comfortable during our stay on Hilton Head. The lock on the front door needs repair as does the lock on the back sliding glass door on the lower level. I would have liked to be closer to the beach but it is just a short walk from the unit. I appreciated the windows along the back of the unit, the view was nice, lots of greenery. We had a very nice time, thank you! The rental was everything we had hoped for. The location was great as well. Our family enjoyed it all and we would not hesitate in renting it again. We just finished our sixth year in this townhome and have already booked for next year. We love our walks into Coligny for happy hour and some live music at The Big Bamboo after which we take the beach back to the house. We love the peace and quiet at this time of year and riding our rented bikes along the many miles of beach and bike paths. The weather at this time of year (January and February) varies between 50F and 70F which is perfect for us. The only thing that I would suggest would be a vacuum cleaner be available as we are there for two months and the available broom was not sufficient. The app that was sent was a great help. There was another couple that came with us that had never been to Hilton Head Island. The information in the app was great and could be shared with all parties. All the information for our stay was contained within the app and the updates were very helpful. 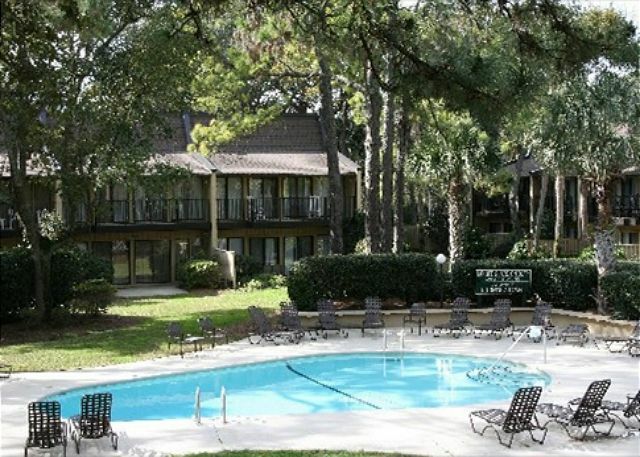 This was our 8th time at Hilton Head but our first time renting through this company. Great experaince. The condo was very clean, quiet and comfortable. All kitchen appliances that you need are onsite and in good condition. We are looking forward to staying there again next year. Our friends that joined us for the first time are also looking at renting this condo in the future for a family vacation. Beach Villa #16 was ideally located & well maintained. With those mentioned & great weather for the week, it ensured a very memorable family vacation. We have been coming to Beach Villas for five years now and we absolutely love it here. It is close enough to Coligny for walks home along the beach after an evening out. Everything you need for your stay is present at the condo. This year the cleanliness was not quite up to standard, but this was reported the management company. I did get an opportunity to return to unit after we vacated as we had forgitton something and it looked and smelled really clean. The management company are wonderful and help out with any problems you may have. This was the perfect location with the perfect atmosphere. An awesome and accommodating Villa with all the amenities and comforts of Home. And of course lets not forget the beach just steps away from the back patio, with an awesome view of the ocean from the main floor. A friendly and pleasant staff. This place is great. Very clean and perfect for our family. We loved the layout and the fact that you are so close to the pool and the beach. Being able to walk out the back door to it all is a definite plus. The location is perfect. Check in office is almost directly across the street so that is easy. 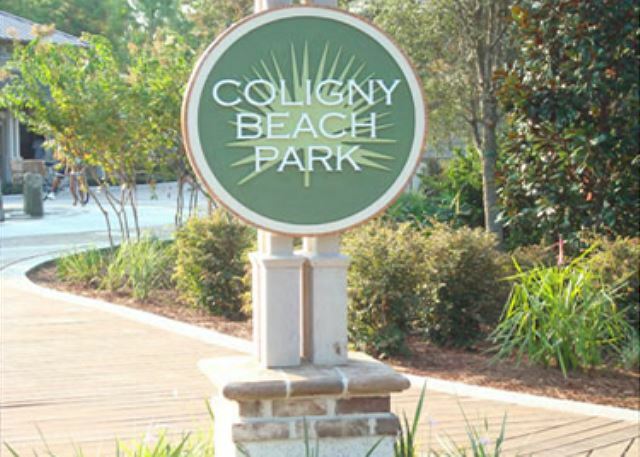 You can walk or ride to Coligny circle where there is really anything that you could need from the grocery store to multiple places to eat and drink. great shops also. You can ride the beach and trails and really get anywhere you want. great central location. loved the property also. Very well kept up and we had a great view from the balcony. The ocean is a short walk out the back door. The parking for your car is nice also. We cannot say enough about this place. We will be back again next year bringing more people. Beautiful villa, great location. Enjoyed our stay as always. My favourite place to stay in Forest Beach. The owner was great to deal with. We have used VTHHI for 10 years. Very good experience. We will be back next year. Our adult vacation at the beach was requested by my brother. The last time we visited was 30 years ago. My other brother and sister-in-law had never visited. The villa was perfect for all of us, giving privacy to all. The location gave us a view of the ocean overlooking the pool, which was cleaned early each morning. It was so relaxing and fun for 5 retired seniors. Everything was close to our villa. My brothers enjoyed golf at Shipyard. I made 5:30 pm reservations a month ahead at great restaurants each day. From reservation to check out the process was easy with helpful friendly staff. We are looking forward to returning and bringing our children and grandchildren. The places was perfect for our family. It had enough space to move around and had everything you needed for your stay. Happy with stay. Living space a bit tight with the dark wood which is not our taste but nice sun exposure on the deck. Always vey quiet which was lovely. We have been coming to 16 Beach Villas for four year now and we love it here. It gives us much needed respite from the NY winters as even on cooler days it is still much nicer than the temps up north. On the good weather days it is perfect with only a two minute walk to the beach. You can see the ocean from your balcony which is a wonderful place to enjoy breakfast every morning. The coded gates ensure privacy and safety and the property management folks are just across the street if you should ever need anything. We will be back again next year. The beach chairs were not present this year, but hopefully they will be back again for next year. Beach Villa 16 was perfect for our family of four. We cannot say enough good things about the courtesy, professionalism, and prompt service by Vacation Time of Hilton Head, especially Stephanie. Beach Villas #16 is in a great location on the Island. 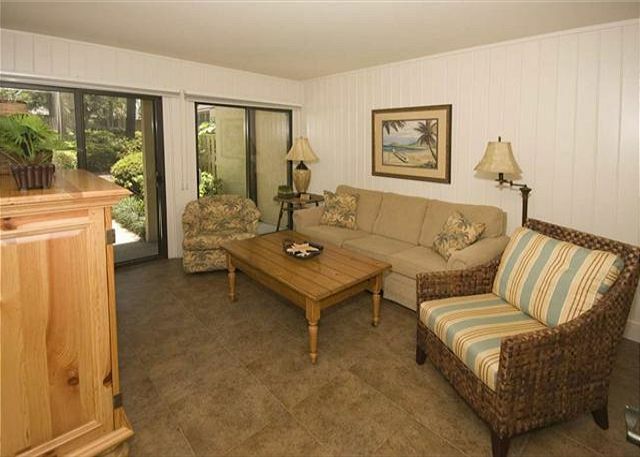 Very convenient for walking to restaurants and shopping and the beach is just steps away. The villa was very well appointed and comfortable. We will definitely stay here again. Our 2014 vacation at Beach Villa 16 was very relaxing and enjoyable without question. The Villa is very well kept and has everything our family of 6 needs. We very much appreciate the ability to rent this Villa from year to year. Thank you. Had a wonderful week at Hilton Head at Hilton Head Villas. Our villa was very clean and comfortable. Furniture and kitchen was absolutely the best. Access to the beach was very easy. We had a great week! We will definitely be back and plan on renting this condo again! It was perfect for our family and we made so many memories. My 4 year old asks to go back at least twice a day!!! We vacation in HHI every year. This condo was nice, clean and decorated beautifully! Location was great! Very family friendly! Staff was super helpful when we had a small maintenance issue. Would be nice if some storage containers had been provided for kitchen use. The trash/recycling policy and additional charge for not bagging these items properly is frowned upon though. We've never seen this before in any other condo in HHI. Overall a great stay! Having booked the stay from 4000 miles away we were a bit apprehensive when we arrived. We were, however, absolutely delighted with the rental property. It was the perfect location for a family holiday. 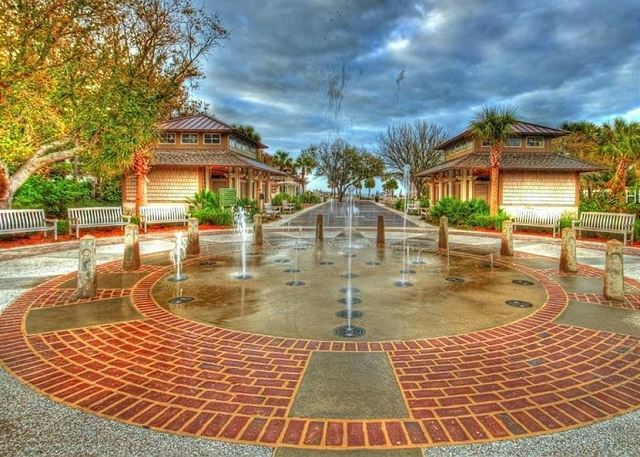 The property was ideal, very well appointed and HHI is a fantastic resort. The service we received from the agents was superb and very straight-forward. Overall it was the perfect family holiday. Really loved the condo location and setup. A broken faucet in second bath upstairs was replaced promptly when maintenance discovered it would not be reparable. We were able to fix breakfast daily and a few other meals with the equipped kitchen. Beach chairs stowed out back were convenient to take to the beach since we had been unable to bring our own. Loved the ocean view from the upper balcony. Easy access to beach was great for our family of two adults and three teenage boys. We loved riding our bikes down the beach and the location was perfect for that. Pillows were too hard for our comfort but bed was comfortable. Overall, condo lived up to it online presentation and we couldn't have been happier. We would return in a heartbeat! We just returned to New York after our third winter at 16 Beach Villa and we felt like turning around and heading back down again. This year was a little cooler in Hilton Head, but, it was brutal in New York and other points north. As usual the villa was a welcome sight and everything we could possibly need for a two month visit is there for us to use. The owners have installed a phone this year which was also very useful. We love our time down here and even though it was a little cooler we still managed to have breakfast on the balcony most mornings and a few BBQ"s in the evening. We loved to ride our rented bikes on the beach and Tuesday dinner specials at The Big Bamboo in Coligny. We have already reserved our visit for next year and look forward to continued visits. Our family absolutely loved this beach villa! It was decorated beautifully, with also a warm, "at home" feel to it. The pool was wonderful~perfect size and temperature~it was like having our own pool, plus our kids met a few great friends. We also loved the convenience of having the beach a short walking distance from the villa and pool. There was plenty of privacy, and the area is very family-oriented. I loved Hilton Head, and want to return to this lovely villa next summer! We had a fantastic time in Hilton Head, the Villa was very well equipped, and was exactly what we wanted. We had a great time in Hilton Head. Our Villa was perfect! The rooms were better than we imagined. The pool was awesome, the beach spectacular! Its stocked with everything you can imagine. My daughter and her family stayed in the lower level which was perfect for them with a bedroom, familyroom combo and we stayed upstair, Great accommodations. We look forward to next years trip. Thank you!!! Fantastic Vacation in a GREAT location! We loved our place. when in Hilton Head we will book this condo again. Wonderful location and very nice place. Thank you for such a pleasant stay. This unit was perfect for our family vacation. The three levels gave us room to spread out. We enjoyed spending time on the balcony and it was great to have the pool and ocean so close by. Plenty of stores, restaurants and bike paths nearby. The unit is well furnished and was very clean upon arrival. Vacation Time of Hilton Head was very easy to work with and helped us with an early check-in. Excellent service, condo was beautiful inside and out. Very clean and well equipped. Great location to shop and restaurants yet not a crowded beach area. Had a wonderful vacation and will definitely want to go back! Very well equipt and owner most helpful giving us instructions to operate items we were too stupid to master. 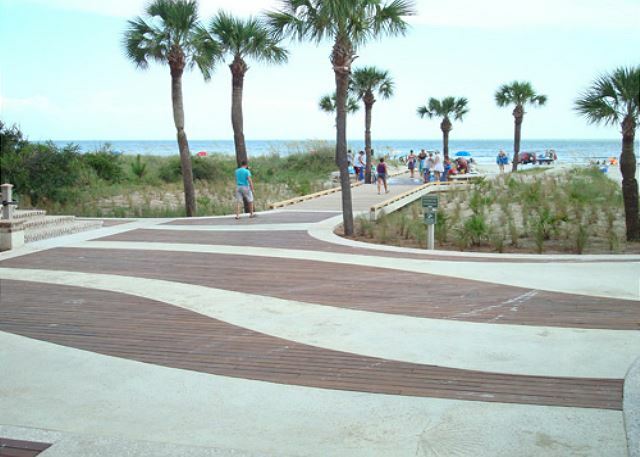 New boardwalk to the long sandy beach made access very easy from the lawn in front of the condo. Several visitors called in to see us during the Wedding Week and they all agreed it was a great spot within easy walking distance of shops etc. 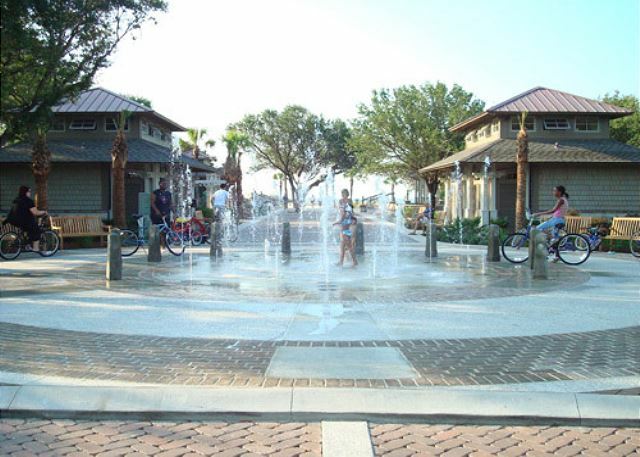 Easy walk to the Altantic Ocean and short bike ride to Coligny Plaza for dining and shops. This was our second visit to this wonderful condo and we have already booked for our visit next year. This year we stayed for two months to escape the NY winter for a little longer. The condo is fully stocked with everything you need to cook all your meals there if you wanted. We even managed to get in a few BBQ's on the downstairs patio, but my favorite was breakfast on the balcony every morning. You can see the ocean from the balcony and we loved to take a ride down the beach to nearby Coligny on our rental bikes. We stopped by the property management company every day to pick up our mail and they were always very friendly and accommodating. We took our bikes to Pinkney Island and picnicked there one day and we discovered Hunting Island state park near Beaufort which we loved. The condo is close to shops, supermarkets, restaurants and movie theaters so everything you need is at your fingertips. We loved everything about our stay and hated leaving, but knowing that we would be back next year made it a little easier. We can't wait! We stayed in the villa in October. The first couple of days were a little chilly but the rest of the week the weather was beautiful. The villa was very nicely decorated and extremely clean. I would recommend it to anyone. We have never vacationed at Hilton Head before so this experience was a first for all four of us. The condo was beautifully appointed, clean and had a great location. The grounds were impeccably maintained. There wasn't one thing we were disappointed in. The weather was fantastic and the beach was phenomenal. We have been to the Outer Banks, Jersey, and Maryland shores and this was probably the best. Great beach location. Easy walk and not crowded. Very nice villa. LOVED the bike trails. Great! Location and the unit were great and easily accomodated 2 families. The one negative factor was the lack of secure wireless. I would strongly suggest changing that feature. The location and setting were lovely. The accomodations were excellent. We have all agreed that this was our best vacation to date. Well worth the money. "Let There be Space in Your Togetherness." This property was exactly what was advertised.. and more. We were 7 adults and because of the three levels, deck and patio/pool , and furnishings, we never felt crowded or got in one another's way. We would rent it again in a heartbeat. Third week this year at this unit and we had another great vacation. This is our second stay at unit 16 and it will not be our last, we have another week booked in October and are already counting down the days. Check in was good the unit is very nice and frankly I can't imagine that there is a better layout anywhere for kids and the parents who pack all the beach stuff.